A couple of weeks from now I will be attending the IDEA conference, put on by the IA Institute, for the first time. Over the years I have heard about the previous versions of this conference but was never able to attend (working for the man, I was only allowed one conference a year and inevitably used my slot to attend the IA Summit). So I am extremely fortunate to be not only attending this year but speaking as well. What is the IDEA conference? The IDEA Conference is about how to create experiences in a world where tangible and virtual are converging. And not just in a lofty way, but in a practical context for professionals who need to understand this convergence. Where are you seeing convergence in your job or life? 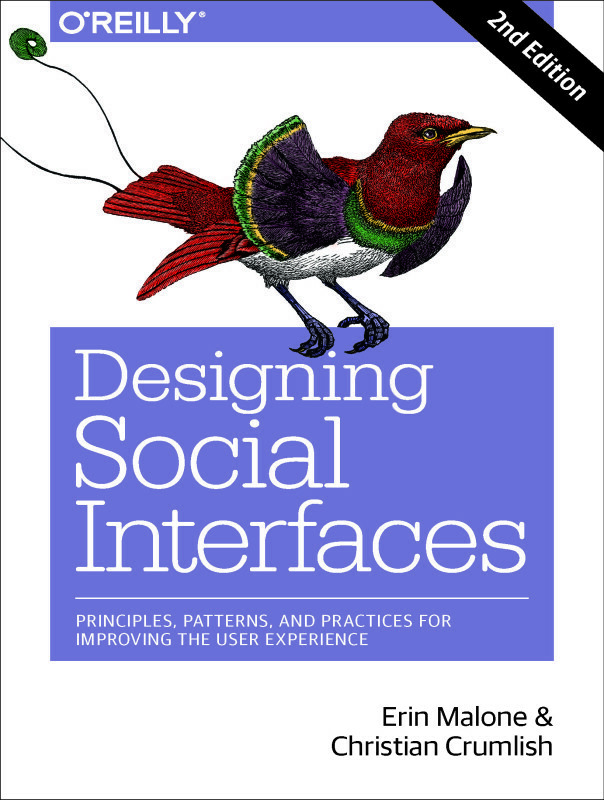 Christian and I will be talking about the concepts in our book, Designing Social Interfaces, and sharing some of the patterns, principles and anti-patterns that make designing this space so interesting. Additionally, we have a second slot where we will be asking the participants to join us in playing a game: Social Mania – crafted from the materials in our book. The game is still a beta, it will be fun and entertaining, and hopefully folks will give us insights to make it even better and more fun to play as a game and brainstorming tool for teams. For the last year, Christian and I have been researching and writing our book. The book, comes out of several years on both our parts, of practical experience designing social spaces and social interactions plugged into Yahoo! as part of the Platform team there, as well as for other people along the way, including AOL and AltaVista. Over the course of the past couple of years, the taxonomy which provided the seed of the book, has been workshopped, discussed at bar camps, been manipulated and data exchanged with other people who care about this topic and eventually crafted to become the outline for the book. This in turn has been iterated and needs to continue to be shared with the community. We approached the content, the interaction design patterns, as a language in the Christopher Alexander Pattern Language mold and only through iteration, conversation, sharing and use is the language alive and vital and continually evolving. The list of speakers looks amazing and I am honored to be part of the list. Luke Wroblewski – who always gives good talk. Lisa Reichelt – who has been doing good things in the open community. Lisa Galarneau – I am personally looking forward to hearing her presentation: Think Water, Not Data: The Nature of Social Experiences Online. She has piqued my interest through her mention of indigenous cosmological myths and folklore as a basis for finding metaphors to support and understand human behavior in social spaces—even online. Christina Wodtke – who will teaching us about radical architects. Stephen Anderson – Always a good speaker who know how to educate and entertain at the same time. Of course, I am excited about having a room full of people play our game. Thomas Malaby – is talking about Making Virtual Worlds: Games and the Human for a Digital Age. He delves into a space I am only just learning about but know there is a lot to learn that is applicable to even the most tame online tools with social features. Should be interesting. There are other speakers whose presentation descriptions look really interesting and I expect that I will learn alot, see things in new ways and come away with more information to enhance my practice designing social experiences. I am excited about meeting new people, making new friends and further enriching the relationships with my friends from across the internet.